WHAT CRASH TESTING HAS BEEN PERFORMED WITH THE BIKER-SHIELD™? BIKER-SHIELD has been crash tested in accordance with AS/NZS 3845.1:2015 Road Safety Barrier Systems & Devices. Testing requires dummy impacts to simulate a dismounted rider contacting the system at a guardrail post location and mid-span between posts. A vehicle impact was also performed in accordance with MASH Test Level 3 (3-10) to demonstrate the attachment of BIKER-SHIELD™ to RAMSHIELD® Guardrail does not affect safe vehicle containment and redirection. 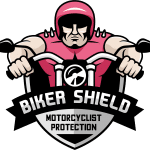 HOW IS BIKER-SHIELD™ ATTACHED TO RAMSHIELD® GUARDRAIL? The flexible mounting bracket connects directly to the w-beam guardrail panel and absorbs rider impact energy providing a forgiving impact. This ensures the face of BIKER-SHIELD™ aligns with the face of w-beam guardrail reducing the potential for rider pocketing and/or snagging. HOW IS BIKER-SHIELD TERMINATED AT THE ENDS? A specially-designed bullnose terminal is attached to the leading and trailing end of the BIKER-SHIELD™ system. CAN BIKER-SHIELD BE INSTALLED WITHIN THE GUARDRAIL END TERMINAL SECTION? BIKER-SHIELD should not be installed within the guardrail end terminal section. 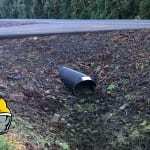 Guardrail end terminals should be installed in the crash tested configuration.